Alzheimer disease (AD) is an age related neurodegenerative disease causing severe cognitive and memory decline in elderly people. Flavonoids play neuroprotective role by inhibiting and/or modifying the self-assembly of the amyloid-β (Aβ) or tau peptide into oligomers and fibrils. This study sought to investigate the effect of hesperetin (HPT) on scopolamine-induced memory impairments in mice. Mice were orally pretreated with HPT (1, 5 or 50 mg/kg) or vehicle (normal saline; 10 ml/kg) for 3 consecutive days. One hour post-treatment on day 3, scopolamine (3 mg/kg, i.p.) was administered 5 min before locomotor activity (open field test) and memory function (novel object recognition test (NORT) for 2 consecutive days and Morris water maze task (MWM) for 5 consecutive days). 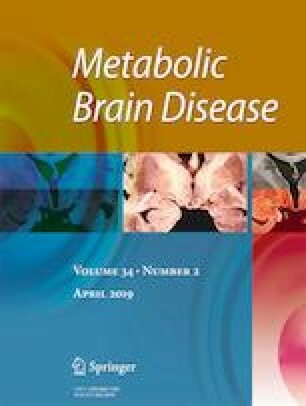 Levels of oxidative stress markers / brain derived neurotrophic factors (BDNF) and acetylcholinesterase activity were determined in the hippocampus and prefrontal cortex after completion of MWM task. Scopolamine caused no significant change in mice exploration of the familiar or novel object in the test session whereas the HPT-treated mice spent more time exploring the novel object more than familiar object in NORT. Scopolamine also increased the escape latency in acquisition phase and decreases time spent in target quadrant in probe phase which were ameliorated by the pretreatment with HPT. Scopolamine-induced alteration of oxidant-antioxidant balance, acetylcholinesterase activity and neurogenesis in the hippocampus and prefrontal cortex were attenuated by HPT treatment. This study showed that HPT ameliorated non-spatial/spatial learning and memory impairment by scopolamine possibly through enhancement of antioxidant defense, cholinergic and BDNF signaling. Authors are grateful to Mr. M. Chijioke of the Department of Pharmacology, Therapeutics and Toxicology and Mr. S.A. Adenekan of the Department of Biochemistry, Faculty of Basic Medical Sciences, College of Medicine, University of Lagos, for their technical assistance. We do not have any conflict of interest to declare.